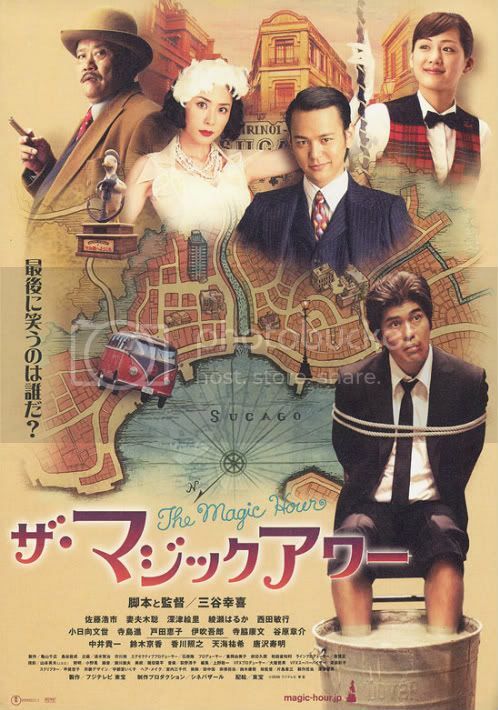 The Magic Hour (ザ・マジックアワーThe Magic Hour) is a 2008 Japanese film written and directed by Koki Mitani. When a gangster (Satoshi Tsumabuki), having an affair with the wife of his boss (Toshiyuki Nishida), is found out, he promises to save face by recruiting a famous hitman. Instead, when he can’t find the real thing, he hires an actor (Koichi Sato) to fill the role until he can find a suitable replacement.